A 20-year-old Wisconsin man has been charged in the March limo crash which killed a women and injured others as they were on their way to the airport to depart for a Mexican vacation. Aaron T. Nash, of Janesville, Wis., was charged with one count of violation of motor carrier safety law by a driver, a felony, according to the Illinois State Police. 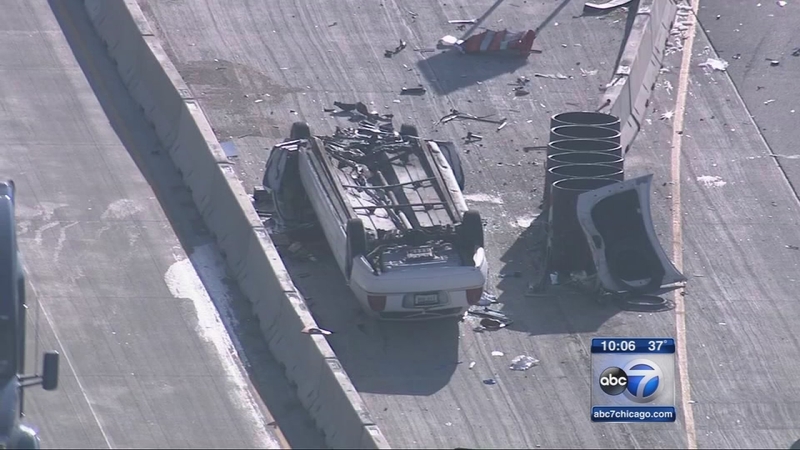 On March 25, Nash was driving a limo on Interstate 90 in the north suburbs when he drove into a construction area, striking a barricade wall crash attenuator. After striking the wall, the limousine flipped over and landed on its roof. Teri Schmidt, 53, of Wisconsin, died of injuries she sustained in the crash. The Kane County State's Attorney approved the charges earlier this month and Nash turned himself in on Wednesday. A judge set bail for Nash at $15,000. His next court date is July 27. If convicted, Nash could face probation or between one and three years in prison, state police said.